In this busy Internet shopping season, if you happen to live in Portland, Oregon, it’s possible your packages and parcels from online retailers will be delivered by electric tricycle. On Nov. 21, UPS launched an e-bike prototype in the city, which the company says could become a component of its delivery capabilities in some other cities across the country as well. The American roll-out of electronically-assisted tricycle deliveries by UPS follows a successful deployment in the city of Hamburg, Germany, where the delivery company piloted the concept back in 2012. 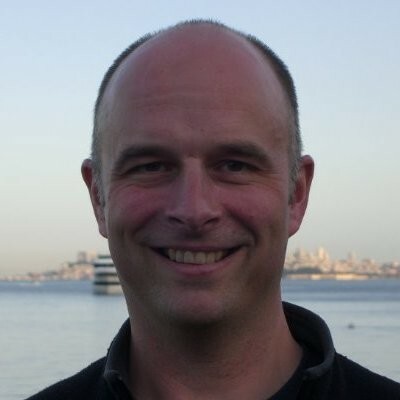 We spoke to Mike Britt, a director within UPS’s automotive team, to find out more about the fledgling operation in Portland. Britt explained the original objective for the pilot program in Hamburg was based solely on congestion mitigation. “The city of Hamburg didn’t want any trucks in the city during the business day,” he told us, and since many cities in the U.S. are similarly afflicted with high traffic volumes, the company felt the e-bike concept would work equally well in busy American cities . Portland was selected for the prototype in the U.S. because, as well as being a bicycle-friendly city, its hilly terrain and fairly long delivery routes provides a rigorous environment to test the engineering. Though similar to the European variant, the vehicle UPS is using on this side of the Atlantic has been designed specifically for the U.S. market. For the Portland version of the electric tricycle, UPS partnered with specialty manufacturer Truck Trike; an Oregon based company which engineered the vehicle according to UPS’s specifications. Montana-based Coaster Pedicab will also develop electric tricycles for the company. The American-designed tricycle is both more powerful and larger than its European cousin deployed in Hamburg. Instead of one 250-watt motor, the Portland version uses two motors for a combined 500 watts of power, while the cargo box provides 108 cubic feet of carrying capacity compared with 70 cubic feet in Europe, Britt explained. 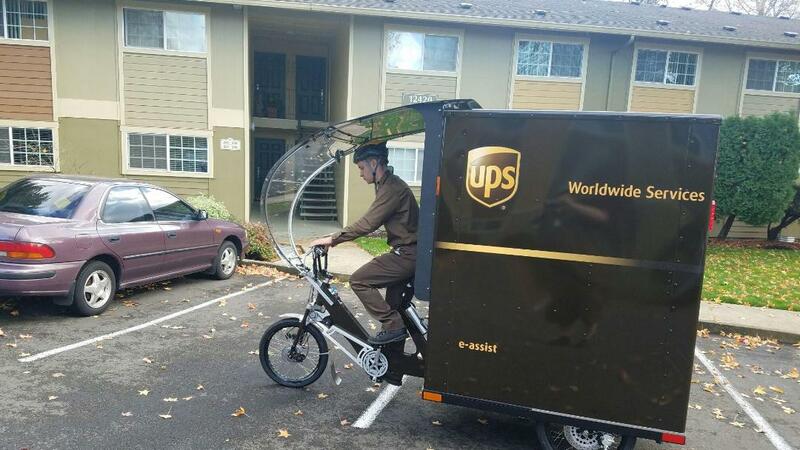 Happily for UPS, a little pedaling on the job has proved to be a popular attraction for prospective drivers. Britt says employees signing up to drive the e-bike “are somewhat of an industrial athlete class” and, as well as getting their deliveries done, are eager to get a measure of health and fitness on the side. The vehicle will be deployed to cover delivery routes of up to 15 miles a day. And if human effort falters, the electric motors are designed to propel the rig at speeds of up to 10 miles an hour -- though driving down hills or under pedal assistance, the tricycle can move along faster than that. We asked whether UPS had any security concerns with delivery by tricycle, and Britt said the company's security team evaluated this issue carefully. The cargo box is secured with heavy-duty bolts similar to those used on any other delivery vehicle. And if anyone tries to pedal off on one, they will find electricity cut off to the motors -- resulting in anything other than a fast getaway. In the meantime, as well as the electric tricycle deployed in Portland, UPS plans to roll out three more in other American cities in the next few weeks. This is in addition to six electric-assist tricycles currently in service with UPS in Europe.